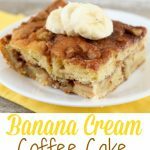 This Banana Cream Coffee Cake is a yummy, easy recipe that uses a cake mix as the base. 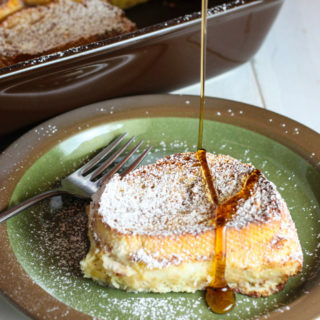 New recipe to use up your ripe bananas! We love bananas in this house. In fact my youngest is a little monkey. Check out what we did for his birthday party. But every now and then we have a couple that get too ripe. 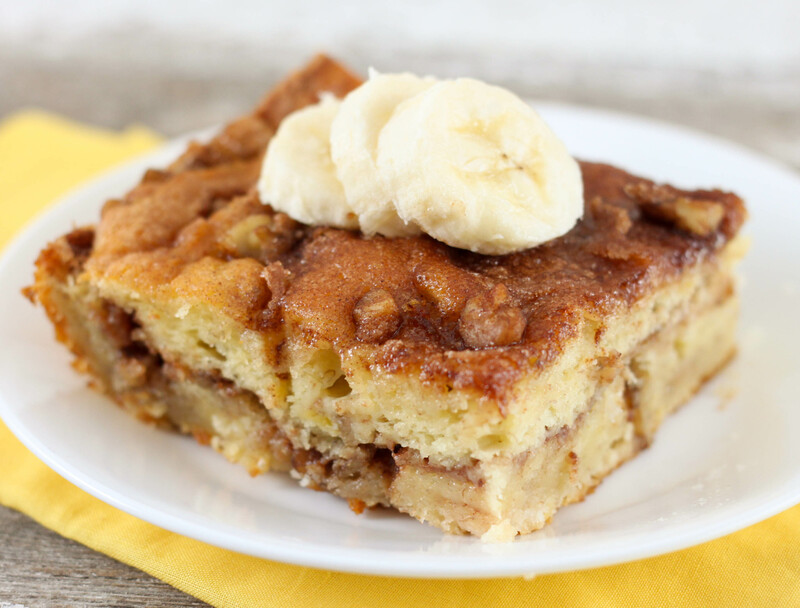 We love banana nut bread but this coffee cake is another great recipe to have in your recipe box! 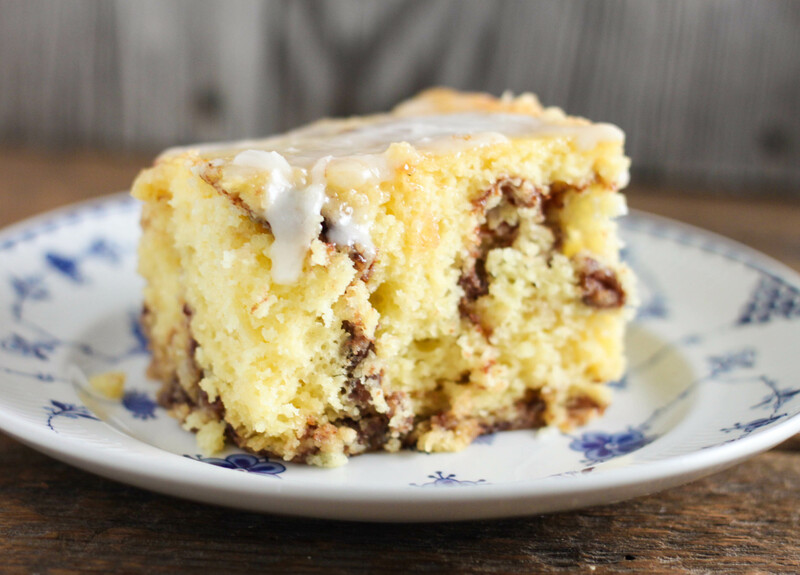 Speaking of coffee cake recipes, this Crock Pot Coffee Cake (can also be made in the oven) has just the slightest coconut flavor. 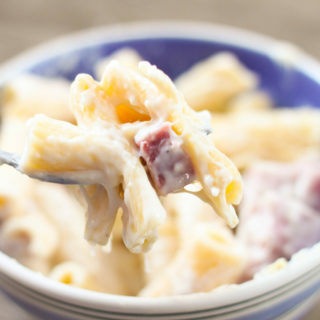 The name of this recipe comes from the pudding mix you use. 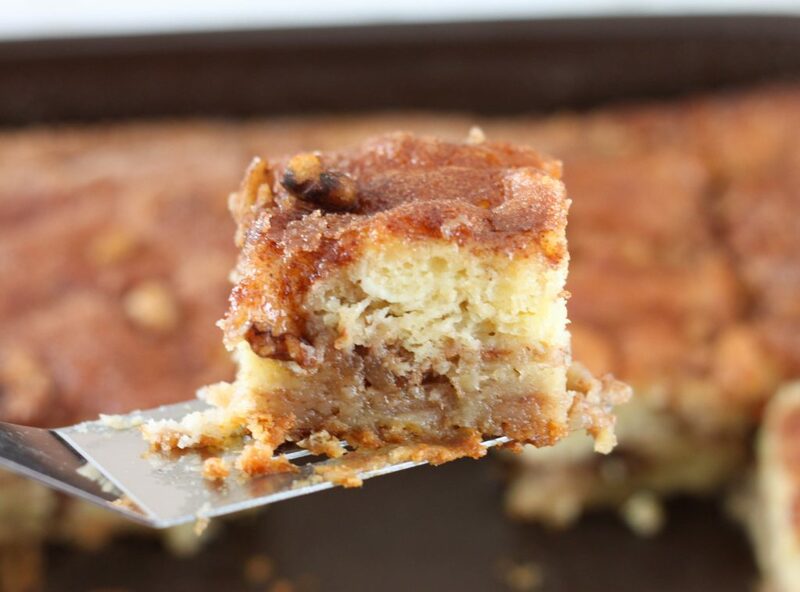 You can make many variations of this coffee cake by substituting the pudding mix and fruit. I think I am going to try a blueberry one next! Apple would also be great in the fall! 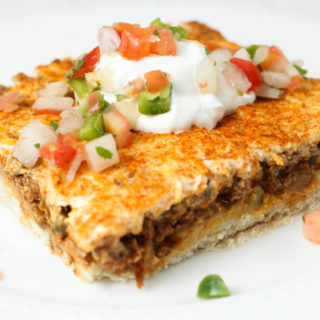 This recipe is easy to make, mix all the ingredients, layer half cake, half sugar mixture, another layer cake and top with the remaining sugar. 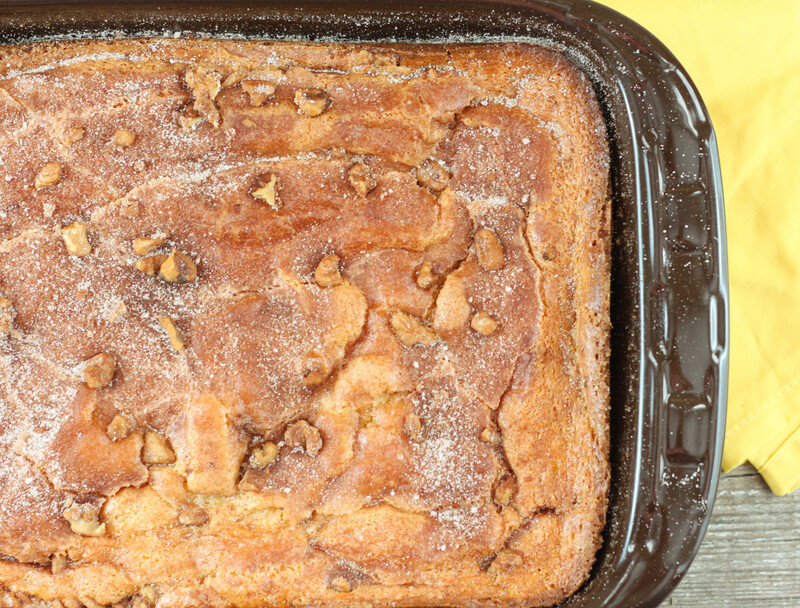 Bake and enjoy with a cup of your favorite coffee! Mix the cake mix, pudding, milk, bananas, sour cream and eggs for a couple minutes with an electric mixer. Pour half of the batter in the bottom of a greased 9x13 pan. In a small bowl, combine the sugar, walnuts and cinnamon. Sprinkle half of the sugar mixture over the cake mixture. Add the rest of the batter and sprinkle with remaining sugar. Bake at 350 degrees for 35-40 minutes or until done.